PLEASE READ THROUGH ALL OF THE SHOW DETAILS BEFORE SUBMITTING YOUR WORK. Young Artists, please scroll down for details. Thank you! THEME: “Home” – Artists may interpret this concept as they wish! Consideration of the theme will be taken into account with all submissions. Entries must be of a family friendly nature, as this show is open to the public. BEST IN SHOW WINNER: Best in show will be voted on by the public during a set voting period. Official voting rules will be published before the start of the show. 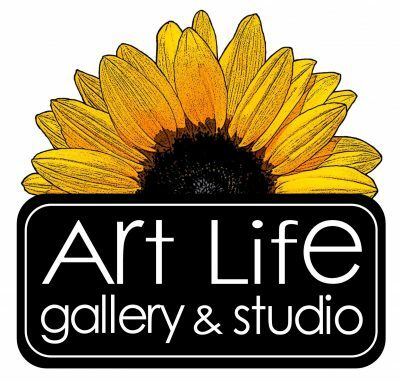 The winner will be able to display their Best in Show piece in the Art Life Gallery for an additional time period after the run of the show. Artists may submit up to 3 pieces for jurying. Jurors may select 1 or more pieces from each artist. A short artist bio should also be included in your submission, as well as explanation of how your artwork fits with the show theme. Additional information may be requested if selected for the show. MUST INCLUDE: Title, Medium, Dimensions, and Selling Price ($2,500 and under). IMAGE FORMAT: If you wish to submit an entry, please send, via email, jpg images of the artwork that you would like to enter in the gallery. ONLY emailed entries will be accepted. Images must be submitted by Friday, September 28th. Artists will be notified of the jury’s selection on or before Wednesday, October 3rd. The number of winning entries is limited by the exhibition space, and my vary depending on size of entries. Receipt of work: Tuesday, October 9th or Wednesday, October 10th from 11am to 6pm. Artist Pick Up: No later than Saturday, November 11th (arranged by appointment). Artist Reception: Friday, October 12th from 7pm – 9pm. Selected artists must be able to attend the reception. Wine & sweets will be served. Invite your friends and family! EXHIBITION/SALE DETAILS: All artwork must have quality framing and a clean professional presentation, and be show ready to hang or install. Artwork must be for sale and will be in the gallery on consignment. The artist will receive 60% of the selling price of their work. Please take this into account when pricing artwork. Fair and reasonably priced art always sells better! Sales will be handled by Art Life Staff. A “Temporary Show Contract” will need to be on file with Art Life for insurance reasons to represent your work. This can be reviewed once your piece is selected. Artists may refuse selection if the terms are not agreeable. Sales are not guaranteed. Delivery and pick-up of the artwork in a timely matter is the responsibility of the artist. Late delivery or other violation of terms may forfeit your participation in the show. THEME: “Home” – Young Artists may interpret this concept as they wish! Consideration of the theme will be taken into account with all submissions. All entries must be of a family friendly nature, as this show is open to the public. IMPORTANT DETAILS: Kids may submit artwork for the Young Artist Division of this Community Art Show for display in the Studio. Up to 3 pieces of artwork may be submitted, limited to 2-D creations that can be displayed on the wall. At least one piece will be included in the show, depending on the amount of entries. SUBMISSION DEADLINE: All artwork must be dropped off at Art Life by Friday, October 5th. Artwork can be dropped off any time during business hours prior to this date. Artwork will remain on display until Saturday, November 3rd and can be picked up the following week during business hours. ARTIST STATEMENT FORM: Each piece of artwork must be accompanied by an “Artist Statement”. Kids that are able should fill this out themselves. Parents/guardians are welcome to help younger kids that need help with writing. Please take this opportunity to listen to your child’s ideas and allow his/her voice to shine through! 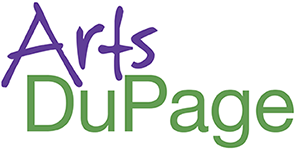 YOUNG ARTIST OPENING RECEPTION: Kids are strongly encouraged to attend the opening reception with their families. The Young Artist Reception will be Friday, October 12th from 4pm – 7pm. Punch and cookies will be served.